Having strong expense management practices and the flexibility to make purchases and payments whenever they are needed is important for the health of small businesses. Business owners may help to control their expenses by ending processes such as reimbursements, check writing and purchase approvals and instead switching to cashless payment and purchase systems when they apply for a business credit card. The credit card market for businesses is huge. While business credit cards made up just 4 percent of the total number of credit card accounts in 2015, the business accounts made up $430 billion in purchases. This means that one dollar out of every six spent on credit cards in 2015 was spent by a business. However, there are some drawbacks to business credit cards for small business owners, making debit cards a potentially better choice. What is a business credit card, and how do I apply for a business credit card? A business credit card is a card for businesses that can be used to purchase supplies, inventory and other items. Businesses may use the cards to pay invoices or to make payments at the time that they are due rather than waiting to get approval to make the purchases or payments. To apply for a business credit card, the business owner must submit a credit application to the card issuer. The company will check the credit of both the business and the owner to make its determination. Businesses that have not been open for several years and owners that have any marks on their credit may have trouble gaining approval. How can a business credit card help with accounting? When you apply for a business credit card and get one it can be helpful with a small business’s accounting practices. When the businesses get rid of payment systems involving their employees to handle cash, tracking the expenses can be simpler. All the purchases and payments will be listed on the credit card statement so that the business owner or bookkeeper can enter the expenses in the company’s accounting software. Why are small business credit cards good for helping lower fraud? Fraud is a real problem for businesses. According to the Association of Certified Fraud Examiners, businesses that suffered fraud losses that were investigated by certified fraud examiners in 2016 reported that they lost an average of 5 percent of their annual revenues to fraud. One reason that a business owner might apply for a business credit card is that the cards can help to lower the company’s fraud risk. Many fraud schemes are perpetrated by employees who have access to their employer’s accounts or money. When businesses get rid of petty cash systems, reimbursements, and checks, doing so can greatly limit the workers’ access to the company’s money. Some business owners who want to apply for a business credit card choose the cards from Bento for Business. These cards also allow business owners to restrict the allowable types of purchases that can be made with each card, further reducing the risk of fraud. Many small business owners do not have enough resources or time to hire internal accounting staff. this means that the owners may be largely responsible for balancing the books and instituting expense management practices. Without good expense management practices in place, the businesses may experience substantial losses from fraud, waste and abuse. The best practices for expense management can help to reduce losses. Businesses should start by having clear expense policies in place for their employees. Limiting the ability of employees to access the accounts of the business is also important. Businesses should make certain to have at least two people who are responsible for balancing the books and making entries who can check each other’s work. One person should never have control of the accounts and money of the company. Finally, eliminating cash- and check-based systems at work all together in favor of credit or debit cards can help to minimize the risk of fraud and to give better control over the expenses. There are many great accounting software programs for businesses, helping to make it much easier to manage expenses than traditional systems that required manual entry. Some business card companies such as Bento for Business also offer a strong API and cards that integrate with your software. This feature allows the transaction data to upload automatically into the correct expense categories in your software, automating the process. The process is of getting one of these cards is easier than if you were to apply for a business credit card. 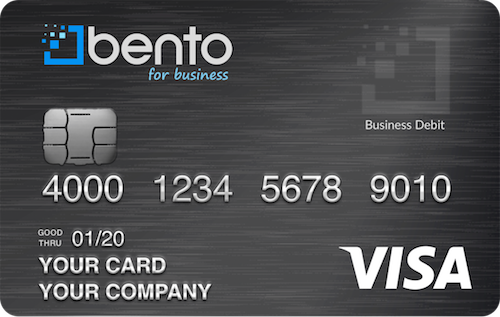 The business debit cards from Bento for Business differ from credit cards in several ways. When you apply for a business debit card from Bento, your credit will not be checked. This is because the cards are not credit cards. Unlike business credit cards, the cards from Bento are linked to your account instead of a revolving line of credit. When a business uses a credit card to make purchases or payments, it adds to the company’s debt. Interest may be charged on any balances that are carried from month to month. Debit cards do not charge interest because the money is your own. The debit cards also allow you to restrict the types of spending that your employees can complete so that they cannot use the cards to purchase unauthorized items. When you are trying to decide between getting a business credit or debit card, you should evaluate several features. You should consider whether the card lets you restrict the types of spending that your employees can complete. Some employees who are given credit cards might use them to buy things for themselves. The debit cards from Bento for Business let you set stringent restrictions on how, when and where they can be used. You are also able to set spending limits on each card by the day, week or month. You will also want to choose cards that do not charge high rates of interest or that charge high annual fees. After you have chosen a business credit or debit card, it is important for you to make certain that you have clear policies and procedures in place for how they can be used. An employee who must drive for his or her job might be given a card to use only for gasoline at the pump. If the employee attempts to buy anything else, you will be able to see the attempt. The unauthorized purchase will also be instantly declined at the point of sale. You can turn off the card from your dashboard by clicking or tapping a button. Bento for Business was started to help small business owners to have stronger expense management tools so that they can prevent fraud and reduce waste. The company has thousands of satisfied business customers in the U.S. and has great reviews. When you choose Bento for Business, your deposits will be insured up to $250,000 by the FDIC. 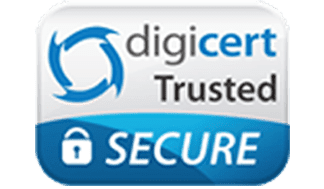 The company also uses 256-bit SSL encryption technology and Digicert so that you will enjoy added protection. We offer a free 60-day trial, and you can choose up to 10 cards for a low monthly fee of $29. To learn more, call us today at 866.220.8455.